Applaws is a premium UK dog and cat food brand known for its high-grade ingredients. Competing in a saturated market in Australia and New Zealand it was suffering from low brand awareness amongst an enormous range of price points and quality disparity. 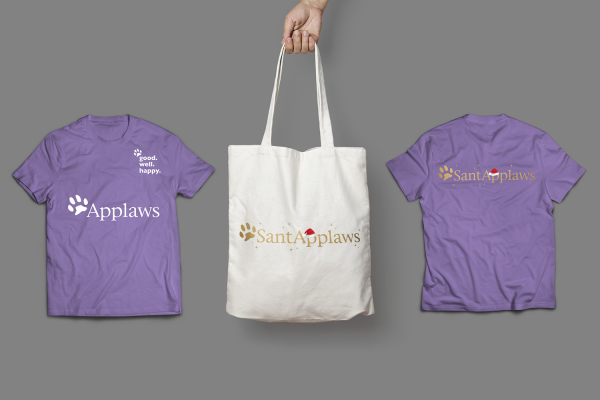 Applaws is available in major retailers and has veterinarian endorsement where it is also sold, as well as on multiple online pet sites. According to the Australian Veterinary Association, in 2016 it was estimated that there were more than 24 million pets in Australia. Australia continues to have one of the highest household rates of pet ownership in the world. Sitting at 62%, this equates to around 5.7 million of Australia’s 9.2 million households being home to a pet. Dogs remain the most popular with almost two in five households (3.6 million) owning a dog. There was an estimated dog population of 4.8 million in 2016 or 20 dogs for every 100 people. The dog population rose slightly from 2013 to 2016 by approximately 600,000. Cats were the next most common type of pet with nearly three in 10 households owning a cat (2.7 million). While cat ownership remained stable from 2013 to 2016, the cat population increased from 3.3 million to 3.9 million during that period or 16 cats per 100 people. The impressive Australian pet ownership statistics made clear the opportunity that Applaws wanted a slice of. The Applaws team approached Toast to put together a sustained strategic marketing programme to help the brand build a greater share of voice, which if effective would grow the brand’s awareness and ultimately gain sales traction in both the Australian and New Zealand markets. 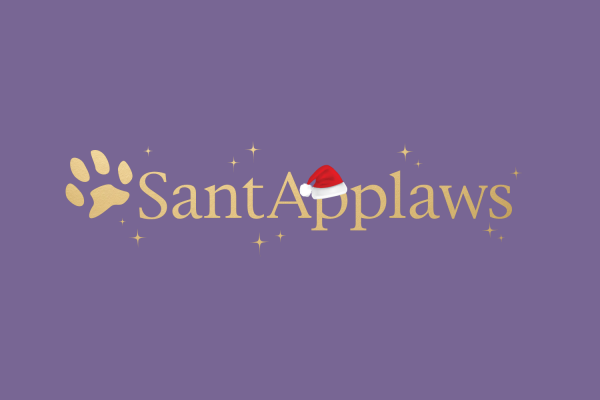 Toast worked with Applaws to define, refine and manage Applaws’ overall strategy and marketing plan which up until now had lacked a strong social media and digital component. 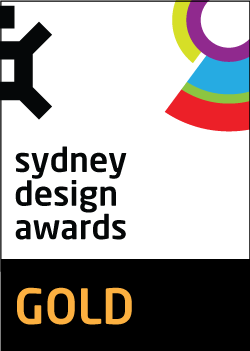 Over the course of 6 months, the brand’s visual identity was refreshed and refined across all communications, a major part of which was the conception of a unique communications platform -‘Good Well Happy’. This was developed initially for online to anchor Applaws’ values, to support the brand’s visual expression and to assist in articulating the brand’s personality. 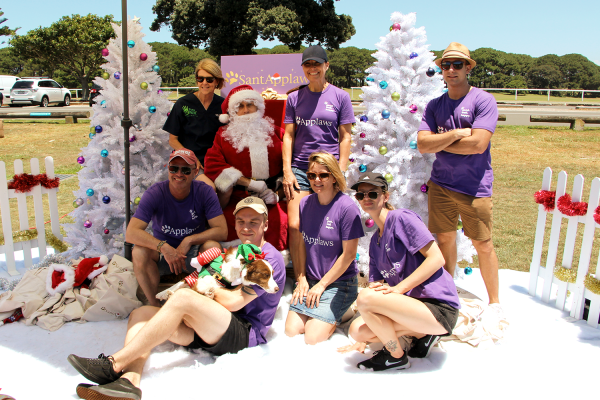 The new focus on social media and content drove the idea of a brand campaign with charity ‘Pets in the Park’, a high profile annual Christmas event that would welcome and benefit from Applaws’ offer of giveaways and the team’s direct involvement on the day. The idea resounded with the ‘Pets in the Park’ team and ‘SantApplaws’ was conceived by Toast. This was a strong brand activation idea that offered mutual and shared benefits and that had the potential to achieve exceptional brand exposure across multiple channels. The event went on to attract national morning television coverage. For Applaws the timing was perfect. 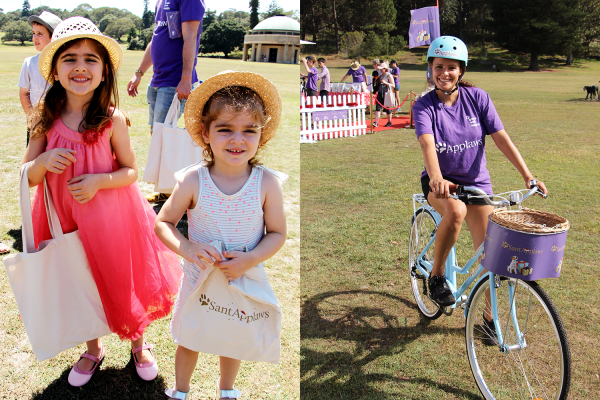 Aligning with an established charity as a means to activate the brand with the aim of increasing brand awareness in the Australian market, was exactly what it needed. With literally hundreds of pet food brands available in the Australian market, it’s no wonder achieving real cut-through is a challenge. 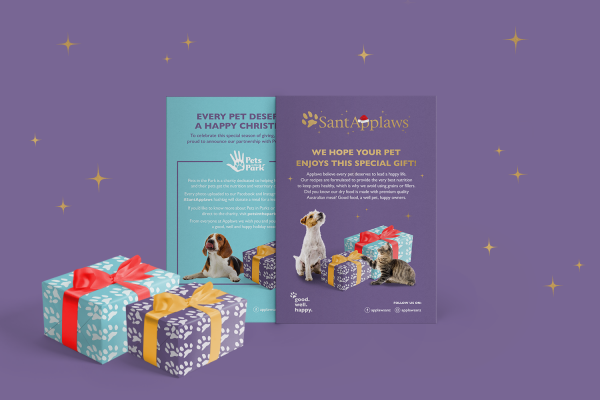 While Applaws had recognised the brand’s low awareness was a key issue, it also knew that it needed to educate people about its quality product and the long term health and behaviour benefits of feeding your pet quality food. Finding the right promotional fit and one that went on to attract national exposure is hard to come by. 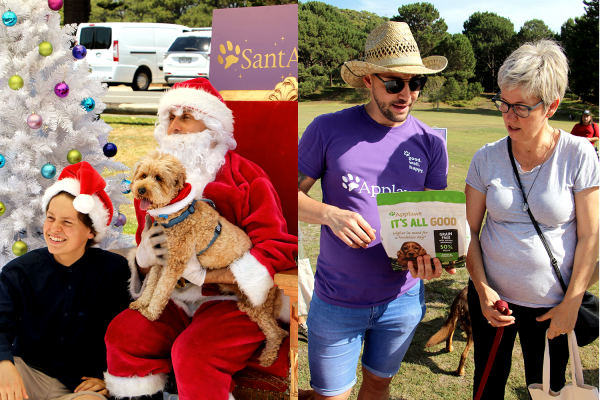 By identifying an opportunity that provided direct and targeted involvement with people’s pets, on site participation, sampling, goodie bags, media interest and a charitable cause - all wrapped up in a social media hashtag campaign - was a powerful way to drive awareness and advertise the Applaws brand. 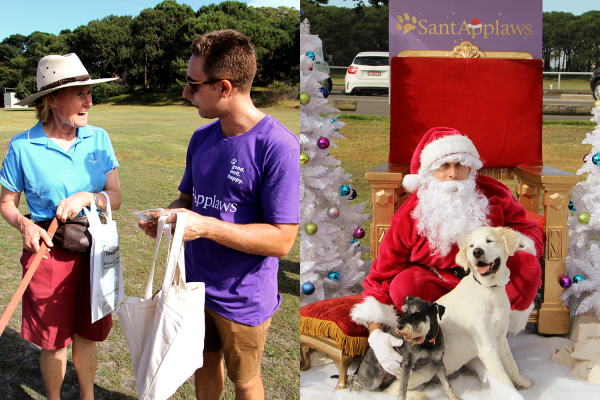 The 2-day ‘SantApplaws’ brand activation event took place in December 2017. A comprehensive kit of promotional elements were created including flyers, signage, goodie bags, promotional products, staff t-shirts and online banners etc. 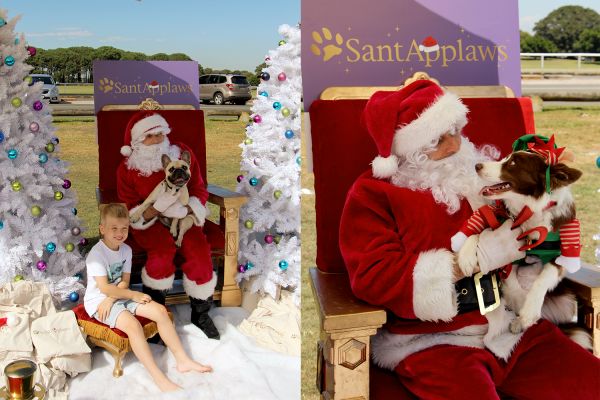 Toast organised free professional photos with Santa, gift bags, a “doggy buffet” giving dogs samples from Applaws’ pet food range and branded pet bowls. This was supported by Applaws branding and signage around the area, a biker distributing flyers around the park to promote the event and a Facebook goodie-bag giveaway campaign elevating the activation from a local to a national appeal. To proactively help animals in need, Toast set up a hashtag campaign. 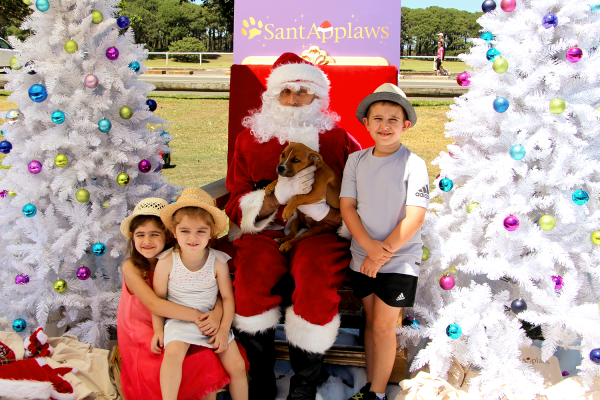 For every photo and use of the hashtag - #SantApplaws - Applaws donated a meal to a less fortunate animal through ‘Pets in the Park’. Just under 4,000 meals were donated in total. Additionally, Toast Creative locked in the appearance of the founders of ‘Pets in the Park’ on Studio 10’s Morning Show watched by 100k viewers daily. 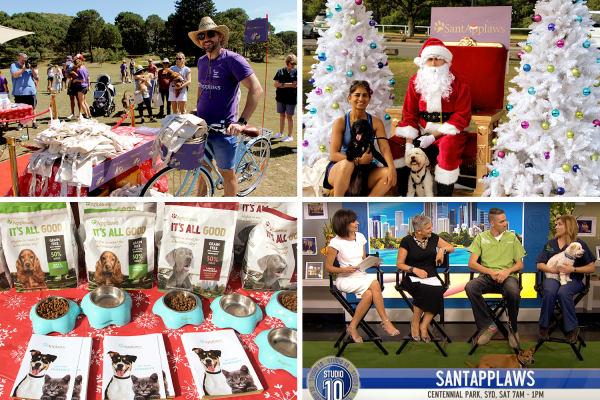 The Charity was featured in a 5-minute segment talking about the charity and the ‘Pets in the Park’ collaboration with Applaws with 60 bags of Applaws product giveaways for the live audience, each worth $40. Overall, the results were outstanding. The brand experienced double digit sales growth post campaign putting them ahead of the category. Additionally, Applaws continues to report increased engagement metrics on social media as well as increased visitation on the website.